It is undeniable that seat belts are the most effective safety feature available in vehicles today; but nearly one in five Americans still fail to regularly wear a seat belt when driving or riding in a motor vehicle. 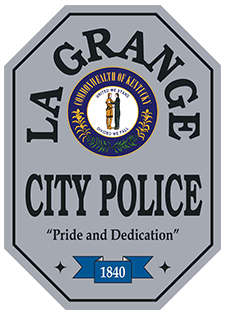 The LaGrange Police Department will always be out and enforcing seat belt laws but especially during this safety campaign. • In the last year, there were 782 highway fatalities in Kentucky. Of those fatalities, 589 individuals were motor vehicle occupants - 303 (51%) were NOT wearing a seatbelt at the time of the crash. • Approximately half of those lives could have been saved if they had been wearing seat belts at the time of the crash. • Research shows there is a greater risk of being involved in a fatal crash at night as compared to the daytime, and that fewer people wear their seat belts at night than during the day. • In Kentucky during 2016, 70% of vehicle passengers who died during nighttime hours were not wearing seat belts. Each year around Memorial Day Weekend, millions of Americans hit the road to visit with family and friends. The Kentucky Office of Highway Safety and the LaGrange Police Department want every get together to be an enjoyable occasion, so it's reminding travelers that law enforcement will be out in force, sending a strong message - CLICK IT OR TICKET.